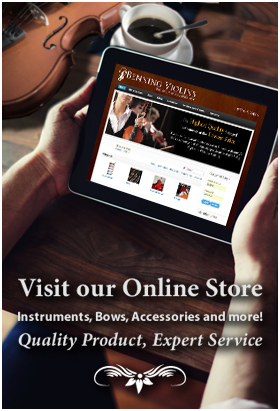 Performing fine violin restorations is an art form in its own right within the field of violin making. Not all violinmakers perform restorations, preferring to concentrate on new making. With the goal of returning an instrument as closely as possible to its original condition and expression, the restoration of a fine violin can increase its value considerably. As techniques of restoring instruments have advanced in the last fifty years, it has contributed to the rising prices of many older instruments on the market. Restoring a violin to its previous glory means making the right choices about how and whether a part itself can be restored, and knowing which components are intrinsic to the instrument’s integrity and originality. Wood in violins only resonates with more clarity as it ages, which usually means it is preferable to restore an older violin’s wood than to replace it. Over time, wood can warp and distort from enduring changes and extremes of temperature and humidity. Steaming and using a counter form can be used to restore warped wood to its original shape. Abrasions, chips and worn out peg holes can be replaced locally with minimal effects to the overall structure and will often appear seamless and invisible after retouching when left to a master craftsman. In almost all cases it is more valuable to keep the violin’s original varnish along with the spots of wear. In certain cases, a partial or complete varnish restoration may be necessary, the repairer going to great lengths to match the original varnish with the goal of preserving the integrity of the maker’s vision. Either way, proper techniques of restoring and polishing can enhance the wood’s ability to breathe and resonate, and visually to bring out the grain of the wood. Only a skilled violinmaker who specializes in restorations and repairs should make the decisions of what can and should be done to an instrument before the owner invests in a restoration. 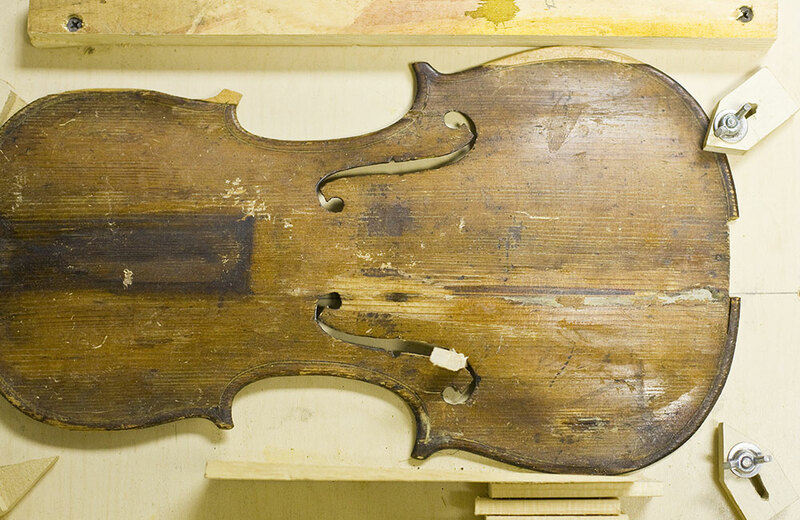 What a few generations ago seemed impossible to repair or restore is possible today as modern violinmakers have taken the art of fine restorations to a new level.